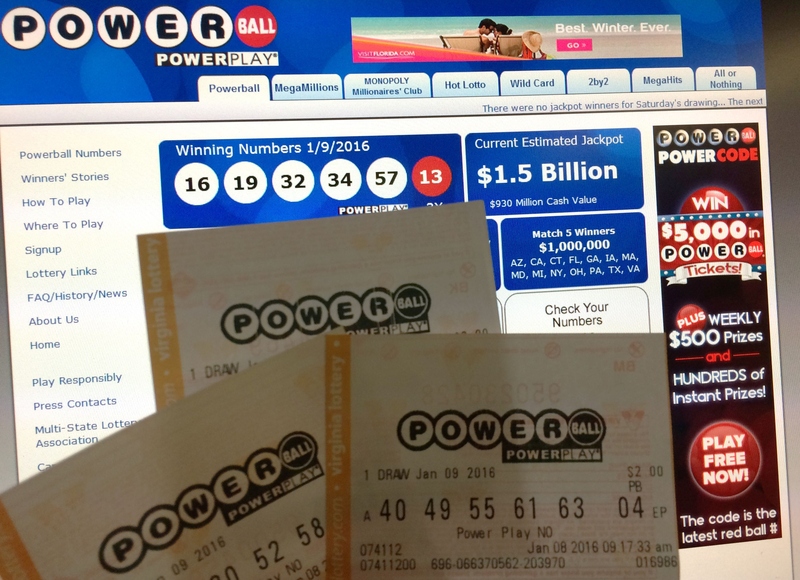 So there’s this little thing called the Powerball, and at $1.5 billion, it now has the largest lottery jackpot ever. But although it seems like everyone is hoping for a golden ticket, should everyone bother? Can non-Americans play the Powerball, too? The answer is a resounding "Yes." To say that the competition is stiff would be a laughable understatement, of course (you’re more likely to be killed by a vending machine than you are to win). Although there’s a chance that the lottery is cursed, that doesn’t seem to be discouraging any of the frenzy surrounding Wednesday’s drawing. And why would it? I know I’d gladly kiss all my student loan debt goodbye. The Powerball seems to be a one-way ticket to the American dream. Even if you’re not an American. According to the Powerball’s official website, there is no residency requirement for winning the prize. Any adult who participates can win. There are six states that don’t participate in Powerball (Alabama, Alaska, Hawaii, Mississippi, Nevada, and Utah), but if you're a resident of one of those states, you can just buy a ticket in one of the 44 that do participate — though some states have had more luck than others. Even if you’re a tourist from another country, you're eligible to win. While a non-American could win, they would not be exempt from taxes. The government withholds a flat rate of 30 percent of any winnings earned by non-citizens, and some countries have tax treaties with the U.S. that could affect how much money the winner takes home. The Multi-State Lottery Association has sometimes considered limiting participants to U.S. citizens, but there has been no changes to reflect that so far. Likewise, undocumented immigrants in the U.S. are eligible to play. But the joy of winning can be tainted with fear of deportation. When an undocumented man won $3 million from a scratch-off ticket in 2011, the convenience store clerk who sold him the ticket, in conjunction with the store owner, convinced him that he would be deported if he turned it in. They took the ticket, promising to give him the money after cashing it in, but tried to keep it for themselves. Once more for the back: Almost anyone can win this thing. Don’t get duped. On the flip side, if you’re thinking of buying national lottery tickets while you’re (hopefully) traversing around the world on your next vacation, know that some other countries aren’t as laidback about foreign players. The United Kingdom’s national lottery not only requires you to be physically present for the drawing, but to also be a citizen. So when your hopes and dreams are crushed tomorrow — or at least, when mine are — console yourself with the knowledge that you’re anything but alone. Our competition is global.